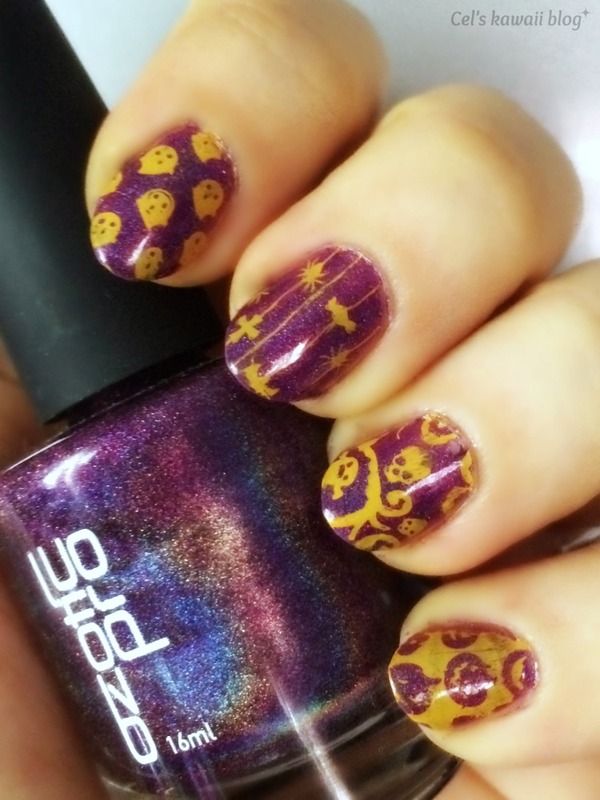 Read on for spooky cute nails, music by the legendary Bauhaus and a special treat from celdeconail. I started with two coats of Ozotic Pro 513, a beautiful purple linear holographic nail polish.This is spectacular on its own but I wanted to spice it up a bit. I decided on orange colour for the stamping as it makes for a great contrast and a cute colour combination. 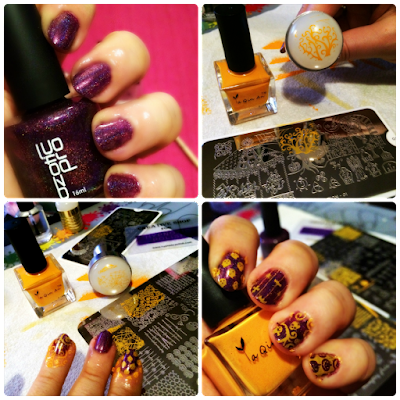 I used an orange stamping polish by Ya Qin An that was provided to me by Born Pretty Store for review, my trusted FabUrNails nail stamper and Halloween nail stamping plates from Bunny Nails, Moyou and Uber Chic nails. 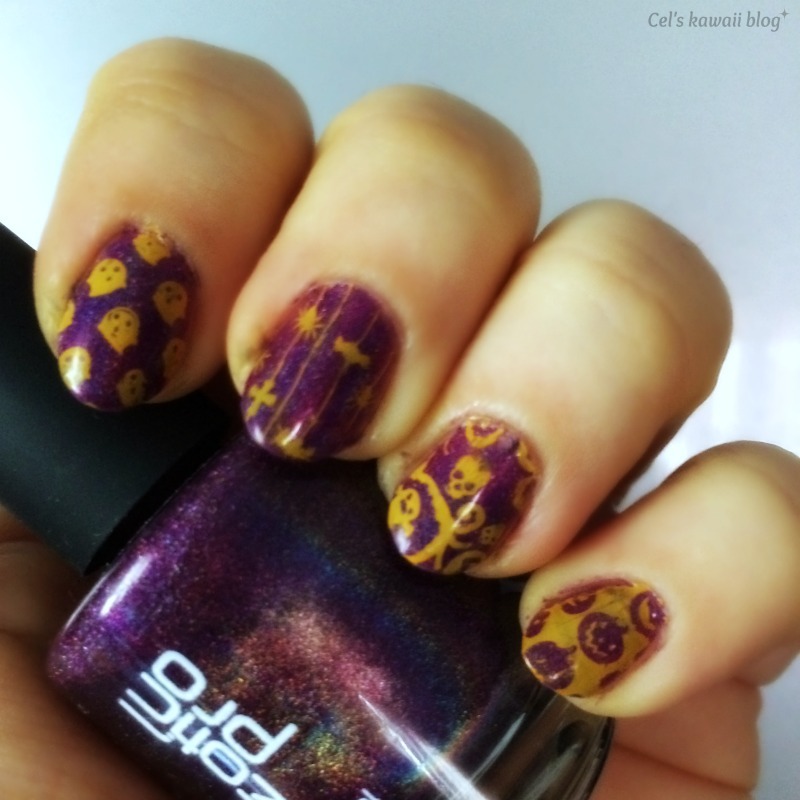 These all worked really well together and I love how opaque the stamping polish turned out to be. Very easy to work with and no horrible smell like other stamping polishes. Sealed with top coat and my nails are ready! This post wouldn't be complete without one of my favourite songs from one of the bands who started the scene, enjoy The Passion of Lovers by Bauhaus, the song and band who introduced me to Gothic music. 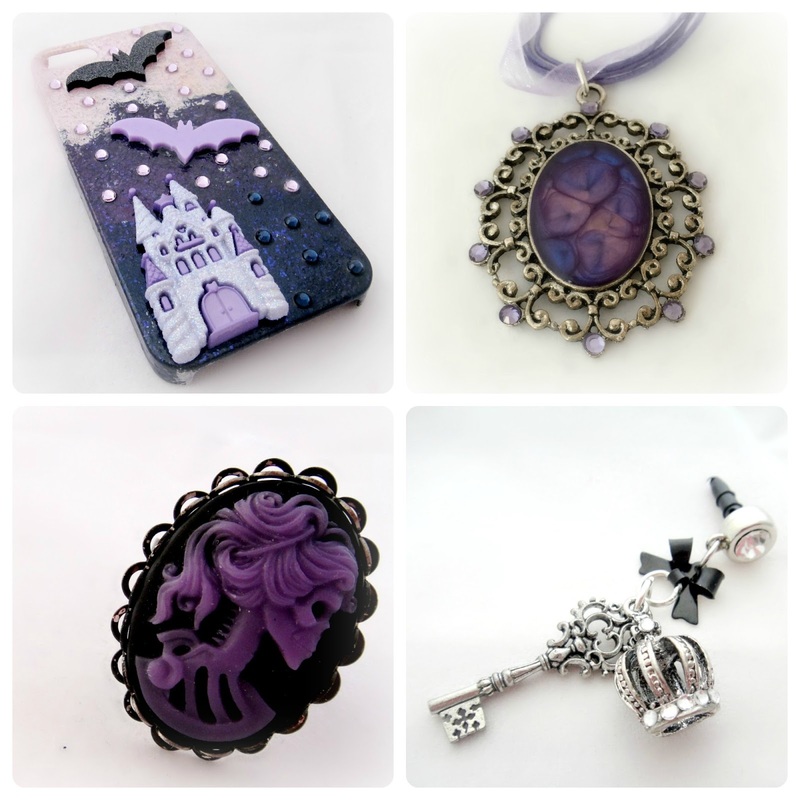 And to top off this celebration, I am having a special sale on the celdeconail etsy and storenvy stores. 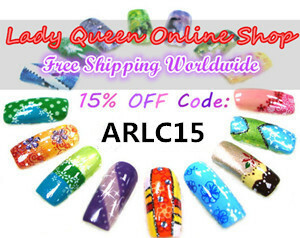 Use discount code WGD10 and get 10% off on every purchase at celdeconail.etsy.com or celdeconail.storenvy.com . Give yourself a gothy treat to celebrate! 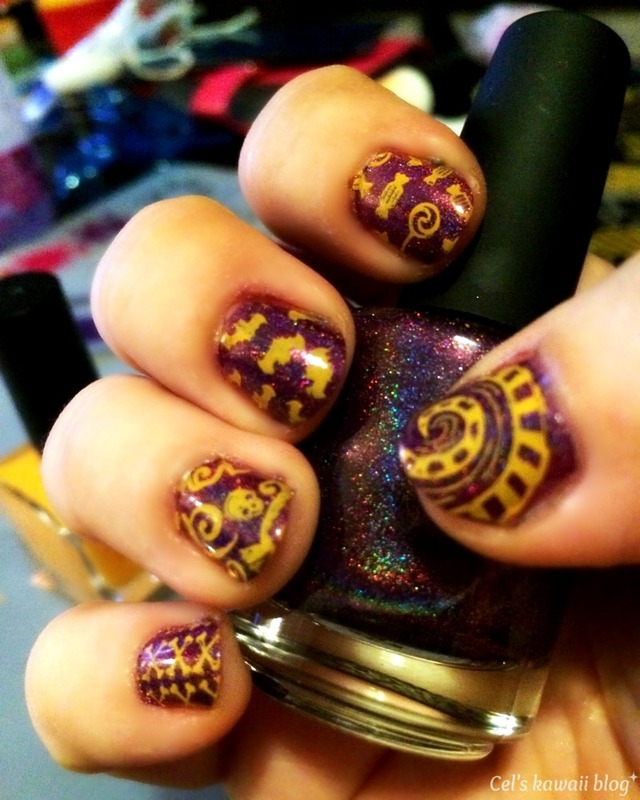 Very cute nails, purple with orange looks nice.